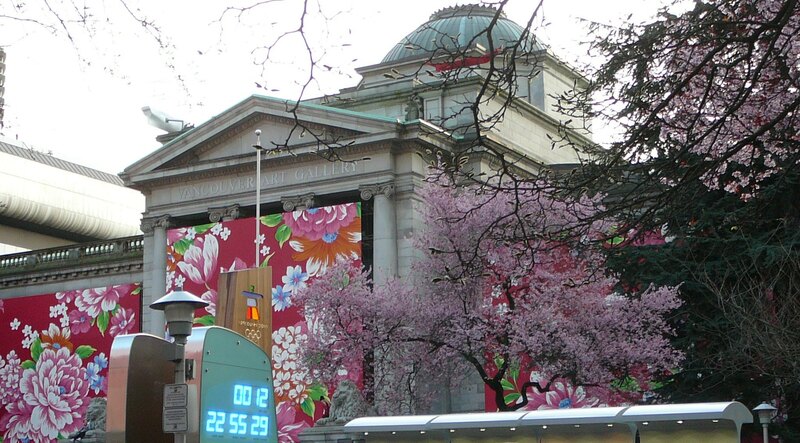 Having the great joy of being in Vancouver for the 2010 Olympics I wanted to share this photo I took outside of the Vancouver Art Gallery on February 25. I especially like the juxtaposition of the floral motif on the building with the budding trees in front. A special thanks to Carol from Calgary for the suggestion of the photo opportunity.